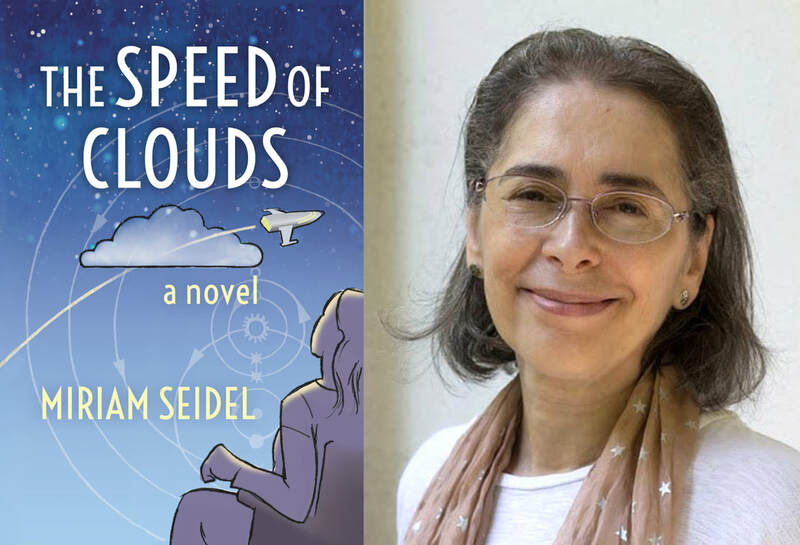 Miriam Seidel’s writing has been fed by her background in visual art, music and dance, leading to a range of projects from opera librettos to fiction and arts writing. She is also a long-time sci-fi fan. All of these elements can be seen in her extraordinary first novel, The Speed of Clouds. Her short fiction has appeared in numerous literary magazines. Her dramatic writing includes the libretto for the opera Violet Fire, about the inventor Nikola Tesla, with score by Jon Gibson, and the libretto for the opera Judgment of Midas, developed by American Opera Projects, with score by Kamran Ince. Violet Fire was performed in Belgrade, New York and Philadelphia, and Judgment of Midas had its concert premiere in Milwaukee, in a production by Present Music with the Milwaukee Opera Theater. Miriam has written extensively on visual art and dance for journals including Art in America (as corresponding editor), the Philadelphia Inquirer, and Dance Magazine, and has written many catalog essays for artists. She has also worked as a curator, both at the Gershman Y Galleries in Philadelphia and independently, and she does writing, editing, and graphic design for individual clients and organizations. Miriam lives in the Philadelphia area with her husband, Steve. Click below to download a PDF interview with Miriam Seidel. ​Click below to download a PDF Information Sheet. ​Click below to download a press release. ​Click below for a free excerpt from The Speed of Clouds. Note: This is copyrighted material; don't steal!